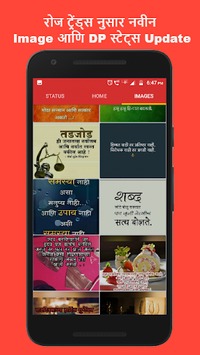 Marathi DP & Status is all new collection of Marathi DP, Status, Videos and jokes. 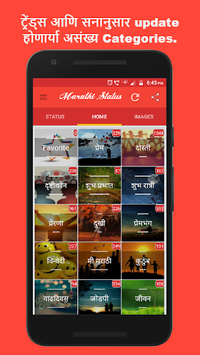 Marathi DP Status also contains Marathi Video Status with daily update. which keep your status updated on Social Media Like Facebook , whats app , Sharechat. 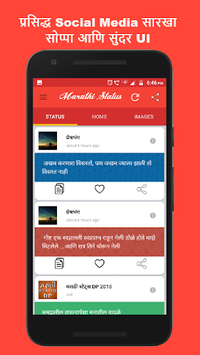 We also add status and DP according to upcoming Festivals and update Different categories According to Same so you will get all latest message way before others and can wish your friend and family with same.